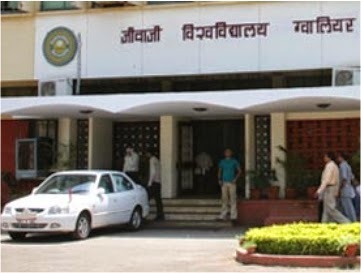 The Jiwaji University Gwalior, Madhya Pradesh has announced the results of the FIRST PROF. B.H.M.S. EXAM. of JUNE-2013 (REVISED). The roll numbers are given in the link below. The homoeopathic courses was stared as per the ordinance (see here). Jiwaji University was established as a teaching and affiliating University on 23rd May 1964, under the provision of M. P. Government Ordinance no. 15 of 1963. Dr. Sarwapalli Radhakrishanan, the then President of India, laid the foundation stone of the University Campus on 11th December 1964. Right from its inception, Jiwaji University started with a status of a residential and an affiliating University. The territorial jurisdiction of the affiliation extends to six districts of Gwalior and Chambal Division, viz., Gwalior, Morena, Bhind, Guna, Shivpuri and Datia. To begin with, the University had a total of 29 affiliated colleges. Those have steadily increased to more than 100 colleges. Till date of 26 Government and 7 non-Government colleges impart teaching up to postgraduate level. Some of the colleges have also developed into recognized research centers.